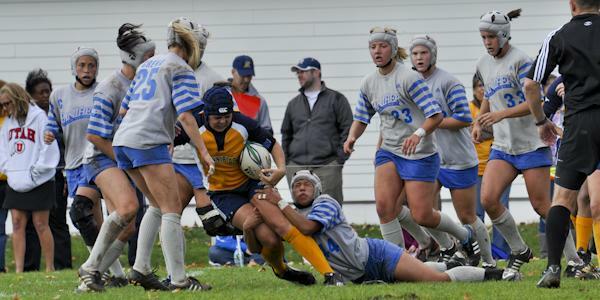 By playing the only other Division I women’s rugby team in the country, Quinnipiac head coach Becky Carlson knew her team would be underdogs when her Bobcats faced Eastern Illinois. The Panthers proved why they were the favorites. In the second-ever matchup between two Division I programs, Quinnipiac fell to Eastern Illinois, 33-5, Saturday at Alumni Field. Quinnipiac (2-4) is in its first year as a program, whereas Carlson used to play for the Panthers in the early 2000s. Kayla Heal had three trys while Lauren Doyle had two for the Panthers (6-0). Diana Poulsen scored the only try for the Bobcats with under a minute to go in the second half. The two teams met for the first time ever Sept. 18, when Eastern Illinois shut out the Bobcats, 24-0. Quinnipiac held the Panthers scoreless through the first 30 minutes in that game, and did a similar feat Saturday, preventing them from scoring for the first 27 minutes. 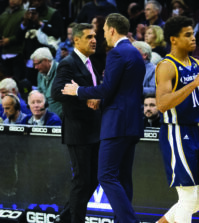 Before the game Carlson pointed out the disparities between the two teams, telling the Bobcats how they have been playing for just 115 days, compared to more than 12 years for the Panthers. Carlson noted that Eastern Illinois has run for more than 800 yards, compared to the Bobcats’ 200. 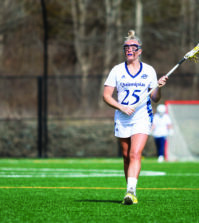 She also pointed out that prior to the game, the Panthers had scored 224 points, compared to Quinnipiac’s 38, and that they had 40 runs of more than 20 yards, while the Bobcats had just 10. “With their experience and the numbers that they’ve had, we expected a big game today,” Carlson said. Quinnipiac travels to Hofstra Wednesday before playing its final home game of the season Oct. 23 against Stony Brook.